Chinese is the most spoken language in the world. According to Ethnologue, about 1.3 billion people are — if we include all its dialect variants — native speakers of Chinese. 70% of them speak Mandarin Chinese. In other words, one person out of 6 speaks Chinese. China is a major developing country with fast growing businesses. This means more and more natives of Chinese are involved into business. Do you need any more good reasons to start learning it? I’m not going to lie and claim that learning Chinese is a piece of cake if you follow my magic recipe. I prefer to be honest and realistic. That’s why I’ll share with you the best tools to learn Chinese I have come across on the Internet. Let’s put all chances on your side! 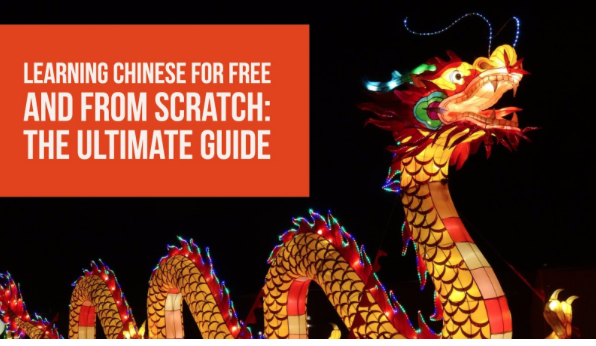 I’m sure these amazing resources will definitely make a very positive difference in your Chinese learning journey. If you’ve heard Chinese is a difficult language, let me tell you you’ve been (at least partially) lied to. This kind of statement must have discouraged many people. The aim of this article is, on the contrary, to encourage you! Actually, the difficulty of Chinese is mainly due to its written form (Hanzi characters). There are tens of thousands, which all refer to concepts or ideas. Unlike latin alphabet, Chinese characters don’t give us Westerners a clue regarding pronunciation of words. Don’t panic! People with a functional literacy in written Chinese “just” know three to four thousand of them. That’s still a lot, you might say, but as a beginner you should only focus on the 300-500 most common characters. The second “difficulty” has to do with tones. Chinese is a tonal language, which means different voice pitches carry distinct lexical meaning. If you look at the exemple below, you’ll notice a same syllable with different tones corresponds to completely different words! You hate grammar, don’t you? Well, Chinese grammar is very basic and has fewer rules. Starting to learn Chinese is a great opportunity for you to broaden your mind, and see the world from a brand new perspective. It’s high time you made your language-learning journey a fun one, didn’t you? I want to learn Chinese, but… Where do I start? My suggestion would be that you start with an app like HelloChinese or ChineseSkill. 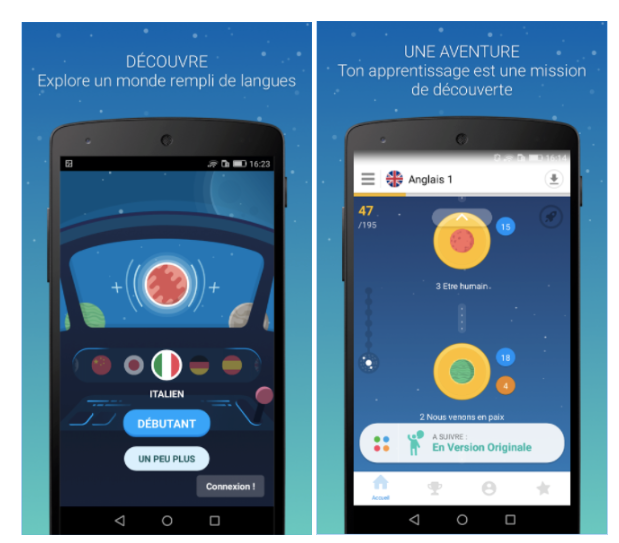 If you already know Duolingo, it hasn’t released any Chinese-learning modules yet, so both of these apps are a very good bet if you’re a beginner. 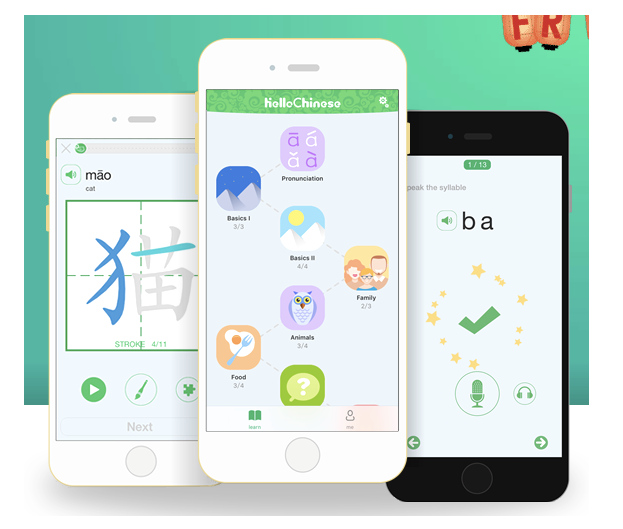 HelloChinese claims to be the “best Chinese learning app for total beginners”. It teaches you grammar as well as vocabulary in a fun and interactive way. It offers bite-sized lessons that are very easy for you to complete in a 10min break. What I really like about it is its pinyin course and speech recognition feature, which are essential to train your pronunciation. It also includes handwriting technology to learn how to draw Chinese characters in no time. 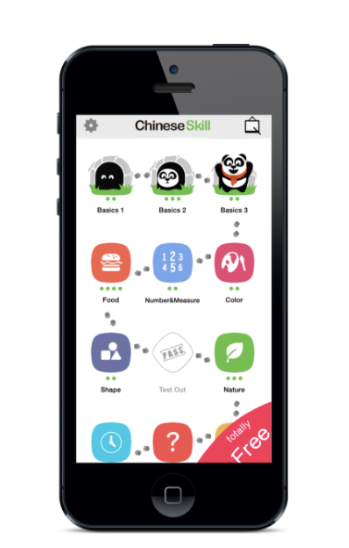 ChineseSkill offers very similar functionalities. The interface, with its super clean UI design, is super user-friendly. What is more, the game and competition-based curriculum makes it very addictive! Memrise is another option for you to start learning Chinese. Its specificity lies on the principle of the forgetting curve. Memrise optimizes your chances to remember what you learn on the long term by exposing you repeatedly and periodically to the same ideas. Memorizing vocabulary is not a pain anymore. The points system and the leaderboard stimulates your eagerness to learn more to get to the top of the charts! How do I train my writing and reading skills? 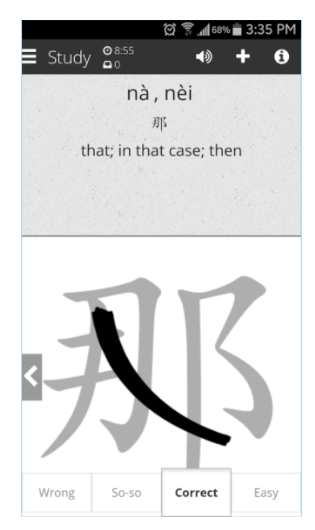 Skritter teaches you how to write Chinese characters “faster than Confucius himself” and automatically suggests corrections to any of your mistakes. You can also make a deeper analysis of the words you’re studying thanks to its integration with Pleco (see below). 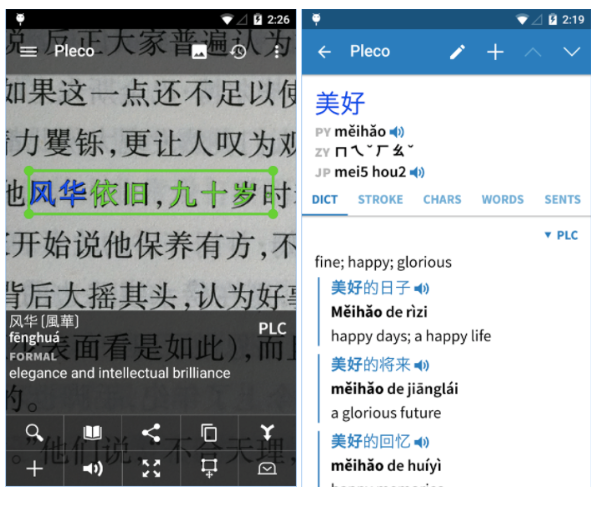 Pleco presents itself as the “ultimate Chinese learning companion”. This app offers great dictionaries with numerous examples of word-use. You can even look up characters you don’t know by drawing them, capturing them with your device’s camera, or use your device’s microphone to find a word’s definition. Among MANY other useful functionalities, you can also create flashcards, or listen to recordings by male/female native speakers. 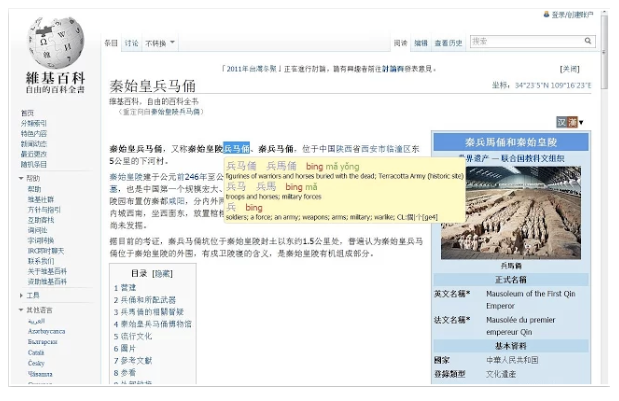 Zhongwen Popup Chinese Dictionary is a Google Chrome extension for you to look up words on Chinese websites simply by pointing at them with your mouse. Zhongwen also gives you access to grammar and usage notes, and makes it possible to add words to Skritter by a simple keystroke! Immersion is one of the greatest factor of progress when it comes to achieving fluency in a foreign language. One way to do this is to listen to songs or watch videos to make sure you’re exposed to the authentic language as spoken by native speakers. FluentU is an amazing website that uses authentic videos (movie trailers, music videos, news, talks, etc.) to teach you highly relevant content according to your skill level and interests. All videos include interactive captions as well as English translation. You can hover over any word, which automatically pauses the video for you to take the time to check pronunciation, translation, definitions and examples of use designed especially for learners. Another non-neglectable advantage of FluentU is that real-world videos help you learn the everyday language spoken by natives. Grammar and vocabulary won’t be a big deal for you to study anymore! ChinesePod is a great website offering tons of audio and video lessons covering a great variety of topics at six different skill levels. 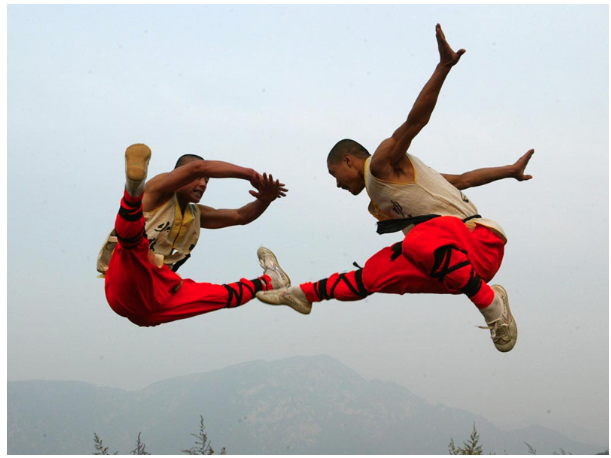 Make sure to read their blog to know more about the Chinese culture! Nothing can replace human interaction. Why? It makes your language-learning objectives concrete since your goal is to learn how to communicate. A language buddy can give you individual feedback. There’s no more authentic insight into a country’s culture than an actual person you can ask your questions to. 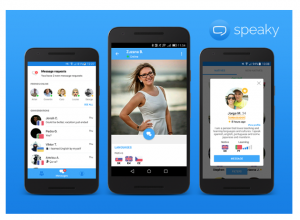 Speaky is an online language exchange network also supported on Android and iOS that’s got tons of native Chinese speakers willing to chat and practice with you for free. It’s a great way to make friends while you’re learning at the same time. The interface is very simple to use. Just choose the language you’d like to learn, select your native language, and you’ll be in touch with natives in the blink of an eye. Language Exchange was never made so easy and fun! The tool consists of a chat with a great correction feature as well as voice notes that will help you train your pronunciation. Last but not least, if you’re not allergic to teachers, you can find a personal Chinese tutor on eChineseLearning.com. Sign-up for a free trial and have a one-to-one lesson (usually on Skype) with a native teacher of Chinese whenever you want, wherever you want. You’re all set now! Ready to rule over the dragon?